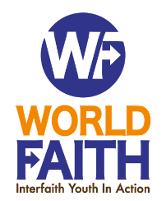 Currently viewing the category: "Video"
VIDEO: World Faith Happy Tenth Anniversary! World Faith is officially ten years old, and we’re grateful we got to spend all ten of those years with you! Let’s continue growing together to end religious violence. Updates from World Faith Indonesia! So many exciting updates from World Faith Indonesia! World Faith Indonesia’s Women’s School has truly taken off. At the approaching start of its third round of classes, the school will serve 42 villages all over Poso! A few weeks ago, Executive Director Frank Fredericks was in Mexico City as part of a year-long fellowship with the International Youth Foundation called YouthActionNet. Check out this video about their time in Mexico City (Frank is the guy in the orange shirt)!